The Dakota 400 was one of the many secondary 400s the Chicago & North Western operated following the success of its initial version launched in the 1930s. The train was part of the late addition to the railroad's fleet, launched after World War II. It turned out to be the C&NW's longest 400 spanning more than 600 miles running from Chicago to the western edge of the railroad's system in South Dakota. As a result it was the only 400 to carry sleeper service, which persisted nearly until the train was discontinued during the early 1960s. The Dakota often isn't regarded as one of the C&NW's more successful within the fleet but nevertheless provided quality service for many years over its territory until the railroad was forced to initiate cutbacks as patronage declined. The Chicago & North Western christened its initial 400 on January 2, 1935, debuting between Chicago and St. Paul via Milwaukee on a schedule of 420 minutes along a corridor of 408.6 miles according to Tom Murray's, "Chicago & North Western Railway." Curiously, this train was not streamlined at first as the railroad was fighting through bankruptcy and did not have the necessary funding to purchase new lightweight or diesel-powered equipment. Regardless, thanks to the 'North Western's route that bypassed major population areas the train offered fast running times. The 400 also had a brief advantage as the first high-speed service between Chicago and the Twin Cities. Alas, within four months the Burlington had launched its Twin Cities Zephyr followed soon after by the Milwaukee Road's Hiawatha. Both of these trains were sleek, colorful, and just as fast leaving the C&NW in a hotly contested market. 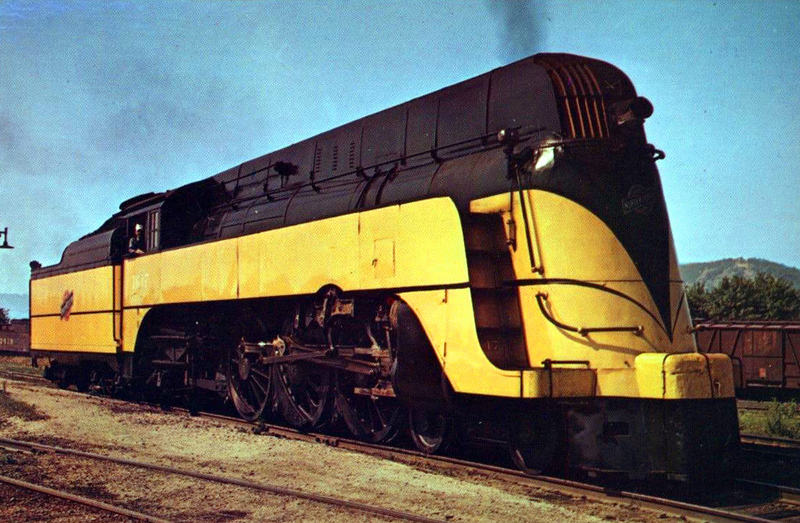 The 400 was finally streamlined during 1939 thanks to more than $2 million in funds allocated by C&NW's bankruptcy court, which included lightweight cars from Pullman-Standard and streamlined diesels from Electro-Motive. According to the railroad this initiative ,"would bring the first streamlined and the first diesels into the 'northern territory' of the railway and on subsidiary Omaha Road." The train sported a beautiful livery of green and yellow, which harkened back to the days of the old New North Western Limited inaugurated in 1912. This paint scheme became the C&NW's standard and came to define the railroad as freight locomotives also wore a version of the colors. A few years following the relaunch of the 400 the 'North Western continued adding to its streamliner fleet. During January of 1942 more new equipment arrived allowing for more 400s included the Peninsula 400 (Chicago - Ishpeming, Michigan), Shoreland 400/Valley 400 (Chicago - Green Bay), Capitol 400 (Chicago - Madison, Wisconsin), and the Commuter 400/City of Milwaukee 400 (Chicago - Milwaukee). This resulted in the original train being renamed as the Twin Cities 400. 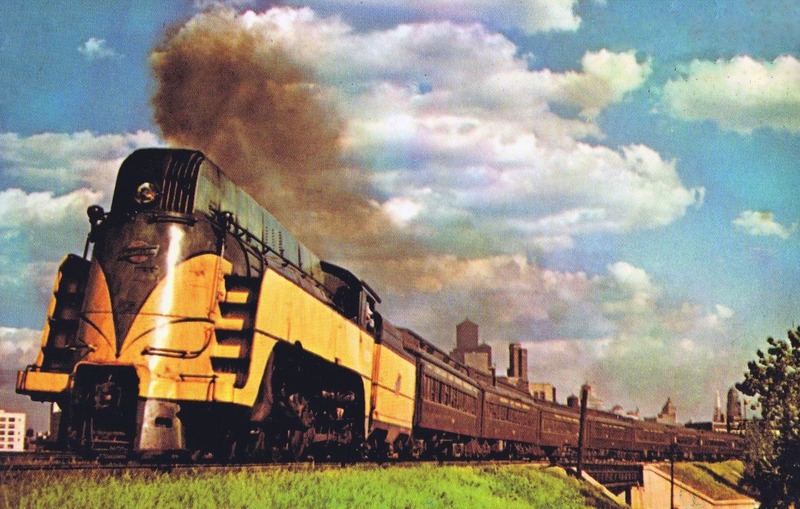 During 1950 more 400s were added to the timetable including the Dakota 400, which debuted on April 30th that year connecting Chicago with Huron, South Dakota running via Madison and Rochester, Minnesota. Since most of the C&NW's 400s were regional dayliners in nature, sleeper service was not required. However, since the Dakota (listed as train #518 and #519) traveled nearly 650 miles Pullmans were provided aboard train. When the Dakota was launched it was powered by a pair of Electro-Motive E7A diesels. However, after just a few months in service the 'North Western upgraded the train to run with a single, brand new E8A that summer. The Dakota's consist at this time included coaches, a parlor, baggage-tavern-lunch counter car, 48-seat diner, and a heavyweight eight-section, two-compartment, one-drawing room sleeper. 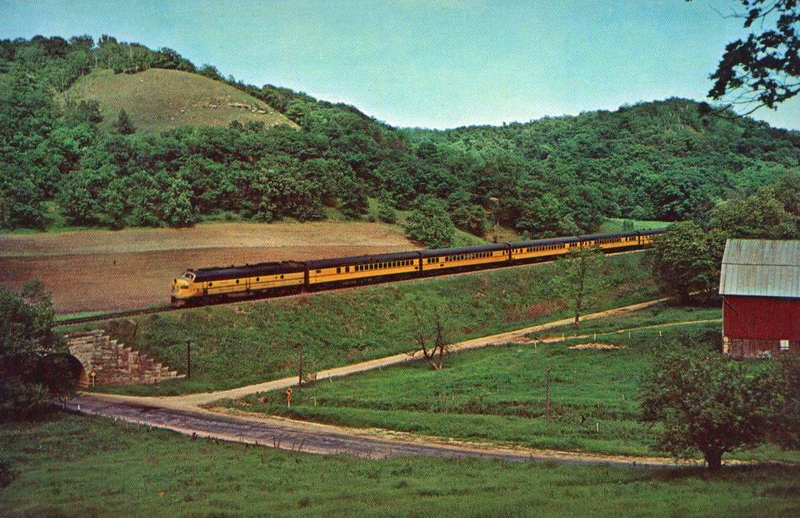 This was later upgraded with a lightweight, streamlined American series four bedroom, six-roomette, six-section car. During its final years the train carried a Northern series one-compartment, three-bedroom, 16-duplex roomette sleeper. As time passed the Dakota slowly picked up additional streamlined equipment, including coaches during April of 1952. In October of 1955 the train was extended to the western fringes of the C&NW system reaching Rapid City, South Dakota. As the decade wore on the railroad realized that maintaining such a large number of 400s was becoming counterproductive and a significant drain on resources as the public left the rails for automobiles and the airlines. 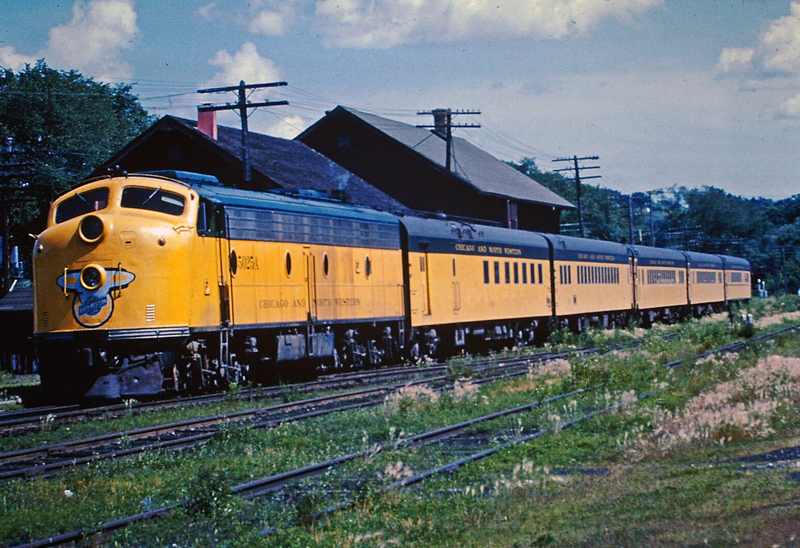 In 1958 the C&NW was able to eliminate 14 money-losing trains in Wisconsin thanks to the introduction of bi-level cars and the 400 fleet was shuffled to help reduce losses. This included the Dakota 400 which was cutback to Mankota, Minnesota during 1960 and renamed as the Rochester 400. The train's consist during this final years normally included an E8A for power, a pair of coaches, an American Car & Foundry diner lounge, and a parlor. Note that by this date sleeper service had been discontinued. As patronage continued to slip the C&NW pulled the plug on the train, discontinuing it after July 23, 1963. The remaining 400s did not fair much better after that date. During the late 1960s the C&NW ended the 400 name altogether following the discontinuance of the Peninsula 400 during July of 1969, choosing instead to call its remaining trains as merely streamliners. This was even promoted in the railroad's marketing dubbing itself as "Route Of The Streamliner" (such statements were also emblazoned on freight locomotives). When Amtrak took over intercity passenger services on May 1, 1971 the C&NW had two non-commuter schedules still operating on its timetable serving Chicago - Green Bay and Chicago - Clinton, Iowa. Unfortunately, neither of these were continued by Amtrak and the carrier did not revive the 400 name on any of its trains.